BlogAre Infographics Integral To SEO? Are Infographics Integral To SEO? Can search engine optimization be more effective just because of an image? It certainly sounds complicated, but it is not as complex as you think. An image conveys a message just as much as text. It is digestible and has the power to hold people’s attention. How does infographics work? 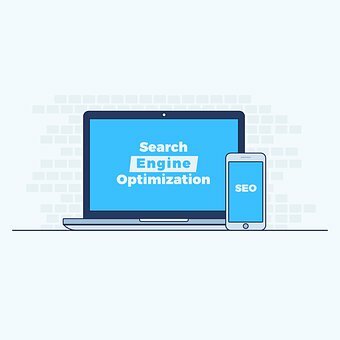 And how is it integral to SEO? A SEO agency can use infographics to help get your message across than any words or phrases would do. According to recent statistics, 40% of people respond better to an image than to text. For instance, photos on Facebook get shared 5 times more than content. Infograhpics is more like evergreen content, it doesn’t really go away. If you have a compelling or powerful story to share, you do it right away. It can be a hit or miss, you wouldn’t know until you give it a try. In this instance, the story needs to reach the right audience, and if it doesn’t the effectiveness of the story starts to fade away. On the other hand, an image is an asset with a permanent link which can be shared even months after it was first published. The story portrayed through an image just never seems to grow old. Infographics transcends difficult and complex industries. It can break down traditional barriers where the standard for content was set very high. For instance, one such complex industry is high frequency trading. In this scenario, writing a high powered article may not meet the set standard, however, using an infograpic is a simple yet effective way to crack down on that complexity. The image can portray what the text aimed to do, but couldn’t. Infographics help you earn links from outside the demographic. It is often difficult to penetrate into complex industries. Link building or earning links from other markets can be a trying task. With infographics, the credit goes to contextual relevance of the website. Using an image to explain highly complex data is easier than attempting to word it in a sentence. Processing numbers is not something every human brain can do. It is only for the mathematicians and people good at crunching numbers. On the other hand, showcasing an image with the exact same data will appear more user-friendly and is digestible enough to even go viral. An image is able to break down data and put it into a simple and more straightforward model that even the average mind wouldn’t fail to understand.